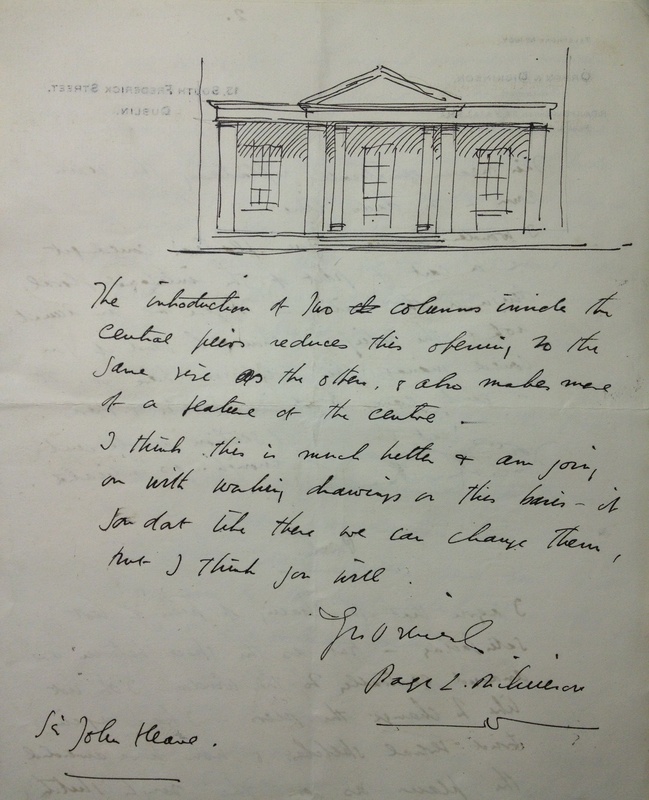 From a letter written to Sir John Keane on July 30th 1913 comes this design for a new pedimented porch leading off the drawing room at Cappoquin House, County Waterford. The architect responsible, Page L Dickinson, came up with several proposals for this project which was intended to replace a 19th century wooden structure the style of which was unsympathetic to the main building. As he explains to his client, ‘The introduction of two columns inside the central piers reduces this opening to the same size as the others, & also makes more of a feature of the centre.’ Indeed it does, and so the design was accepted and executed just before the outbreak of the first World War, and the burning of Cappoquin ten years later. Thankfully the house was subsequently restored, and Dickinson’s addition remains intact. 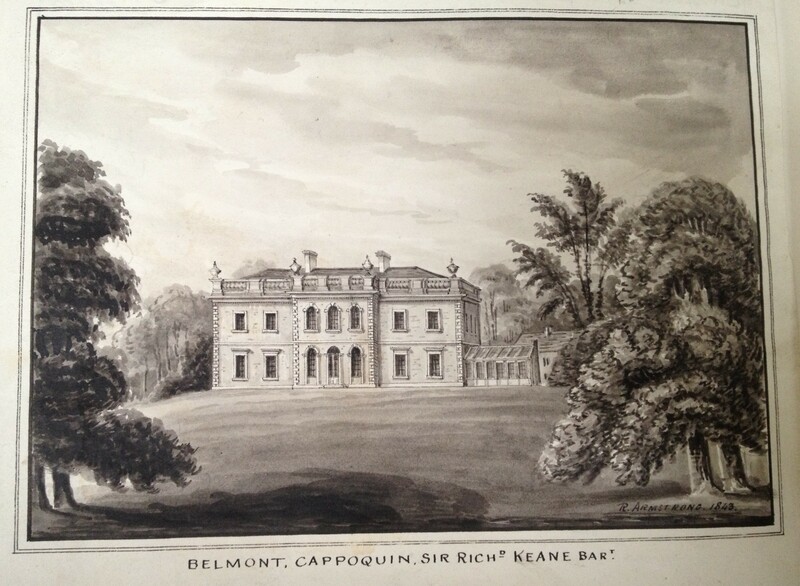 In 1913, Sir John Keane, who had succeeded his father as fifth baronet twenty-one years earlier, decided to carry out some embellishments of the family seat, Belmont, more commonly known as Cappoquin House, County Waterford. Sir John was a descendant of the O’Cahans of Ulster who had lost their lands during the province’s plantation in the early 1600s and, like so many others, been forced to resettle west of the Shannon. Towards the end of the 17th century, one of them changed his name to Keane, converted to Anglicanism and entered government service as a lawyer. In 1738 his son John Keane acquired three 999-year leases on the town of Cappoquin and surrounding estate from Richard Boyle, fourth Earl of Cork and Burlington. John Keane’s grandson, also called John (1757-1829) and created a baronet in 1801, was responsible for building Cappoquin House on the site of an old Fitzgerald castle around 1779. We will probably never know the architect responsible, although the name of John Roberts (1712-96), responsible for many other notable buildings in Waterford City and County, has often been proposed. Located on a prominent site above the point where the river Blackwater turns 90 degrees en route to the Irish Sea, the house’s south-facing seven-bay ashlar facade with three-bay breakfront rises two storeys over basement, its parapet finished with a line of urns. There are scarcely any images of the house before 1930 other than an 1843 watercolour signed R Armstrong. This shows the old conservatory to the immediate east side of the house and also a servants’ wing unattached to the main house, which explains the former’s survival after the latter went up in flames in 1923. Seemingly much of the interior of Cappoquin had charming Adamesque plasterwork but this did not extend to the drawing room. So in 1913 Sir John Keane engaged the services of Page L Dickinson to embellish that part of the house. Dickinson is a curious character, the author of a memoir The Dublin of Yesterday published in 1929 after he had moved to England in voluntary exile from post-independence Ireland and filled with laments for a since-lost ancien regime. But he also wrote, in conjunction with Thomas Sadleir, the excellent Georgian Mansions in Ireland (1915) which contains detailed accounts of, among many other houses, Dowth Hall (see Netterville! Netterville! Where Have You Been? * of December 24th). In addition to the drawing room decoration, Dickinson also designed a new loggia immediately outside on the west front of the house. This was to replace a flimsier 19th century timber and slate structure, and was sufficiently robust to survive the 1923 fire. 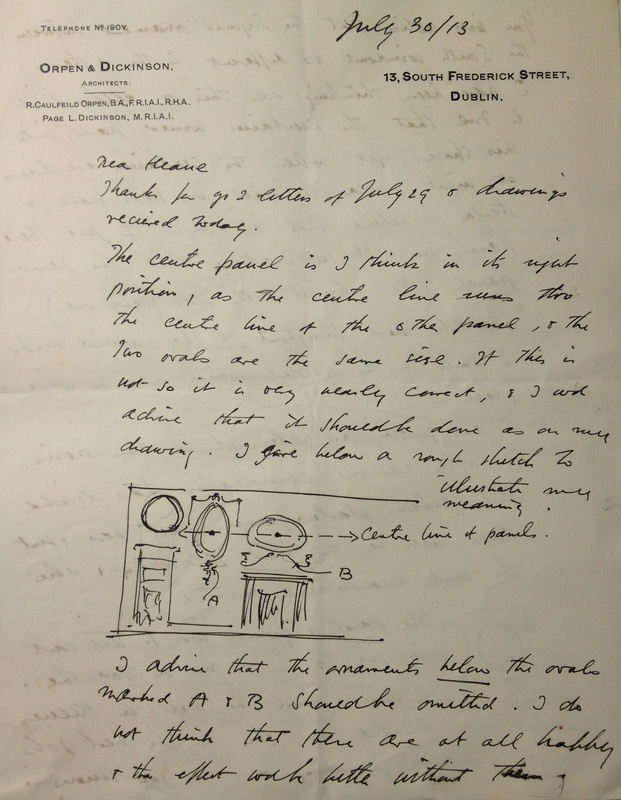 Once more, Dickinson’s letters show the evolution of the design to its final form, an excellent example of architect and client working together to produce a satisfactory result. All the work was completed in late spring 1914, just months before the outbreak of the First World War. So how was it that Cappoquin House came to be gutted by fire in February 1923? The explanation lies in Ireland’s complicated history during this period. In December 1921 representatives of the British government and those of the fledgling Irish state had signed a treaty concluding hostilities and providing for Ireland’s independence – except for six counties in Ulster which remained part of the United Kingdom. Not everyone in this country welcomed the treaty’s outcome and an extremely violent civil war ensued. Among those targeted by anti-Treaty supporters were members of the new state’s upper parliamentary house, the Senate: no less than 37 houses belonging to Senators were deliberately burnt out. In December 1922 Sir John Keane had accepted an invitation from the Free State government to become a Senator. The consequences were inevitable. In fact, he had already realised that Cappoquin House, like many other similar properties in Ireland, was vulnerable to attack. His wife and children had moved to England and he had arranged to have the best furniture, pictures and silver taken away and put into storage. Much was lost when the house was set on fire, not least an historic library, but a great many of the contents were spared destruction. Immediately Sir John set about applying to the Irish government for compensation for his losses and investigating how best to go about restoring the hollow structure. Although he received less financial support than had been requested, he still went ahead with the project, initially intending to work with the same architect as ten years before. But by this time Dickinson had already moved to England, so he recommended his former partner Richard Orpen who did take on the job. Cappoquin House is a very rare example of an historic Irish property rebuilt following its deliberate destruction, and it stands as a tribute to the tenacity of the redoubtable Sir John Keane who, incidentally, also remained as an active Senator until 1944, by which time he was aged over seventy. 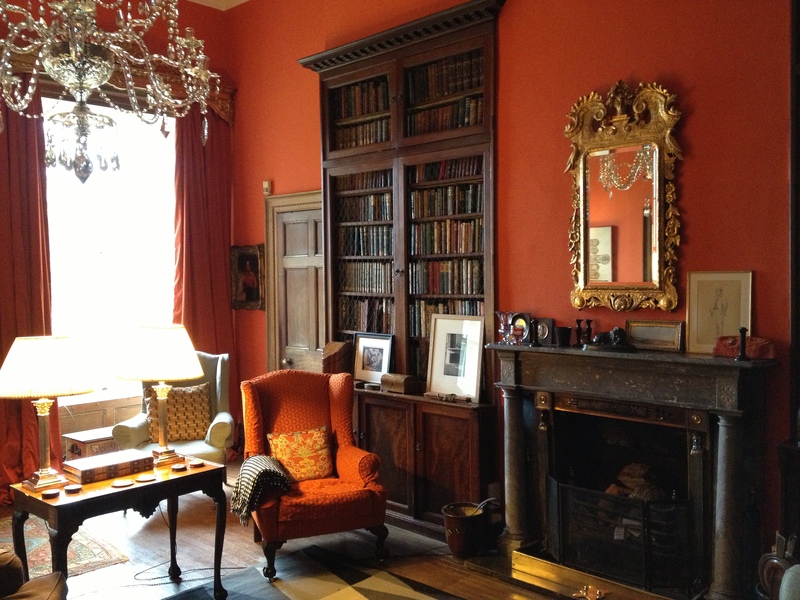 A lot of trouble was taken to ensure the house’s interiors were as splendid as they had been before the fire, and the extensive papers dealing with its gradual reconstruction make for fascinating reading. 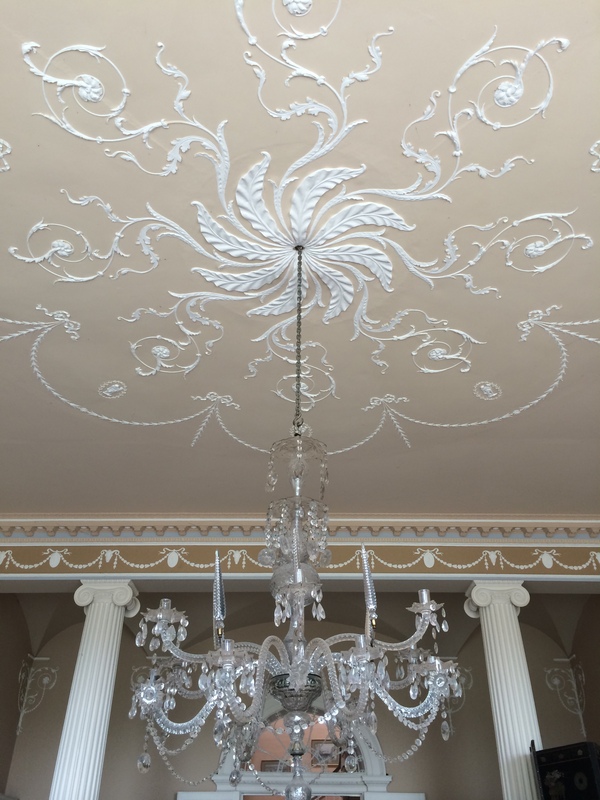 This time the exquisite plasterwork decoration in most of the main reception rooms had to come from the London firm of G Jackson & Sons – one can only assume Mr Creedon was no longer in business in Dublin – and all their invoices remain. 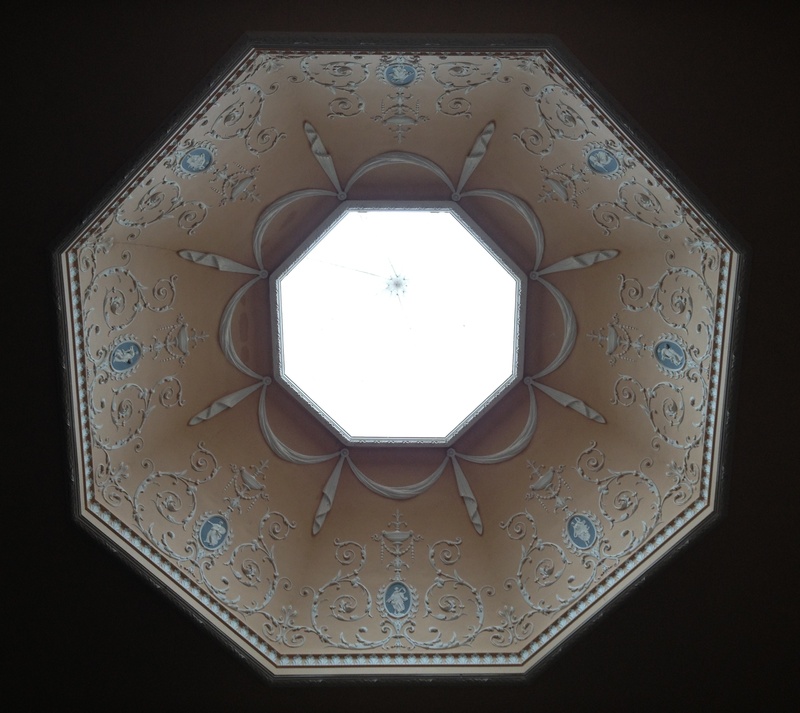 For example plasterwork of the octagon above the main stairs (seen at the start of this piece) cost £166. 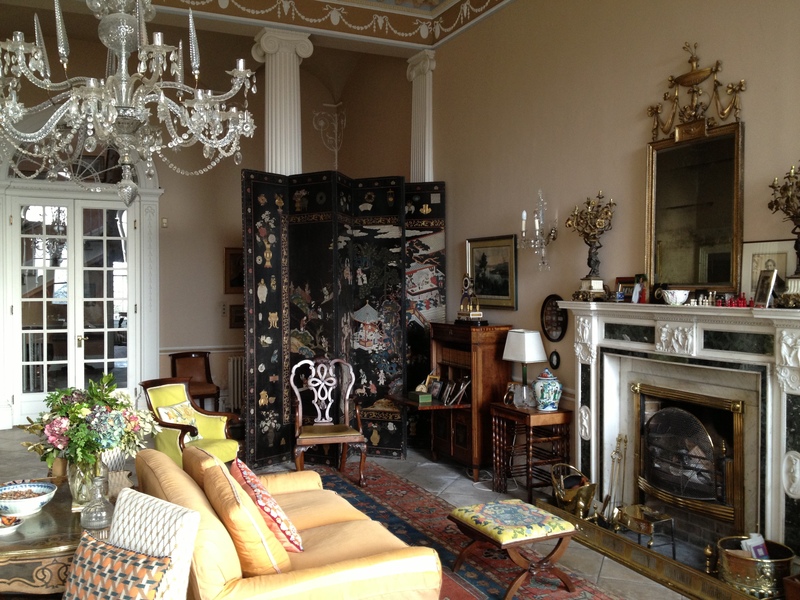 Ironically due to insufficient funds the only area not redecorated was the old drawing room which had been given its splendid new appearance just a decade before the fire. 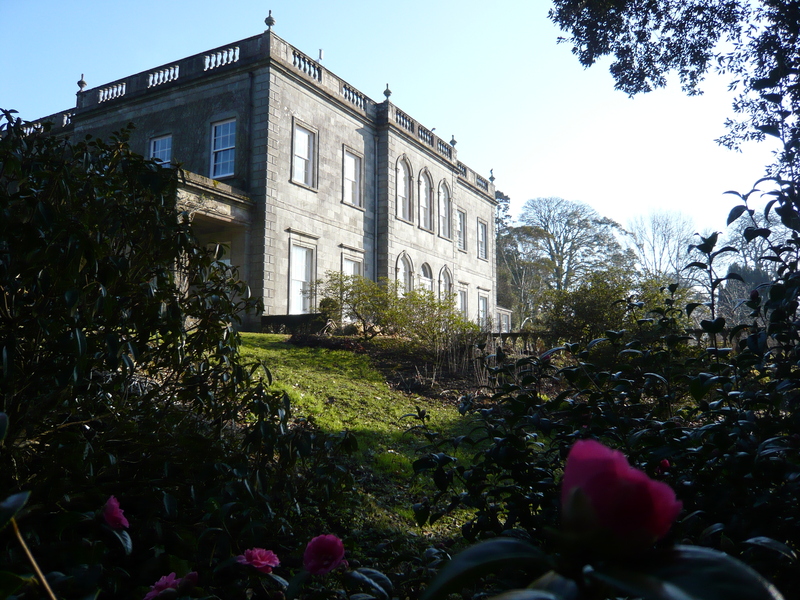 Today Cappoquin House and its equally delightful gardens remain in the ownership of the same family, admirably cared for by Sir John’s grandson, Sir Charles Keane and his wife Corinne. They welcome visitors so here is an opportunity to see for yourself an Irish house that rose like a phoenix from the ashes of destruction (see http://www.cappoquinhouseandgardens.com/). 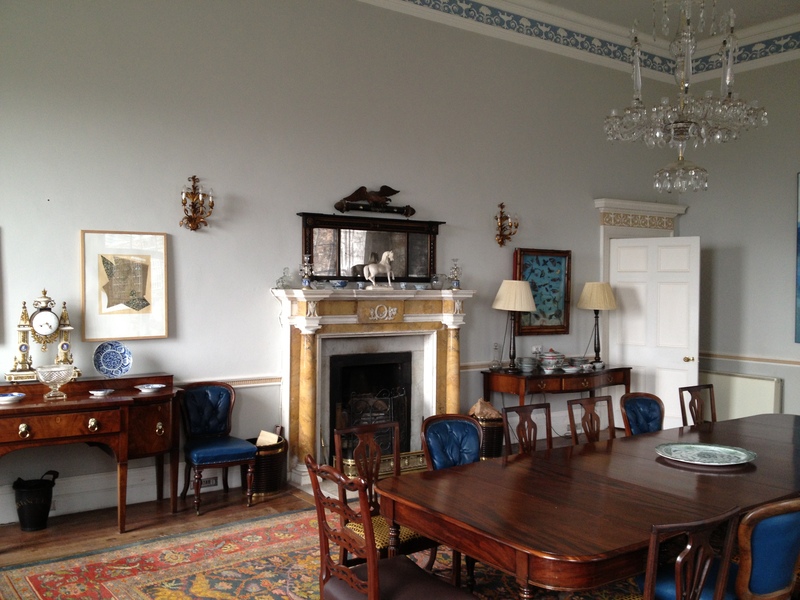 For more about the restoration of Cappoquin House after the 1923 fire, see my article on the subject in the current spring issue of the Irish Arts Review.